For this reason, three new bills have been introduced that protect the rights of pot growers, distributors and users. In addition, advocates are coming out in full force to encourage lawmakers to support pro-marijuana measures. 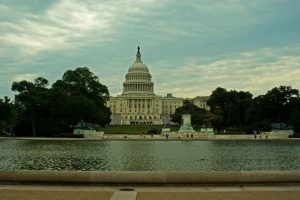 For example, on April 20th, a group of marijuana advocates showed up at a joint session in Congress to pass out joints – and spread awareness that the rule preventing the U.S. Drug Enforcement Administration and the Department of Justice from interfering in states’ medical marijuana laws is about to expire. Without that protection, Sessions and the Trump administration could start cracking down on states like California that allow the drug to be used for both medical and recreational purposes. Small Business Equity Tax Act. This provision would carve out an exception to U.S. tax code 280E, which currently prohibits cannabis-based businesses from taking the kind of business tax deduction all other businesses enjoy. If cannabis business operations could retain more profits, they can grow more quickly and reinvest greater sums. Marijuana Policy Gap Act. This measure help resolve the discrepancy between federal and state marijuana laws. Specifically, it would do away with civil asset forfeitures and criminal penalties for companies that are operating in compliance of state-level marijuana laws – even if those laws are accepted at the federal level. It would also open the doors to banking for marijuana businesses, as well as allow military veterans to obtain access to medical marijuana that is legal at the state level. Marijuana Revenue and Regulation Act. This law would de-schedule marijuana (currently considered a Schedule I narcotic), tax it and set up a regulatory framework. Essentially, it would give the federal government a means to treat marijuana like alcohol. Importers, producers and wholesalers would have to obtain federal government permits to operate. States could still choose to make the sale or distribution of the drug illegal within their borders. This package of reforms, if passed, would erase a number of the key challenges and legal grey areas so marijuana businesses face. During the campaign, Trump insisted medical marijuana was a states rights issue. However, recent statements by Sessions – and others in the administration – have resulted in a lack of confidence that policy will continue. For example, secretary of homeland security John Kelly called it a “dangerous gateway drug” that leads to harder drugs, and supported the position that violations for possession be against federal law.